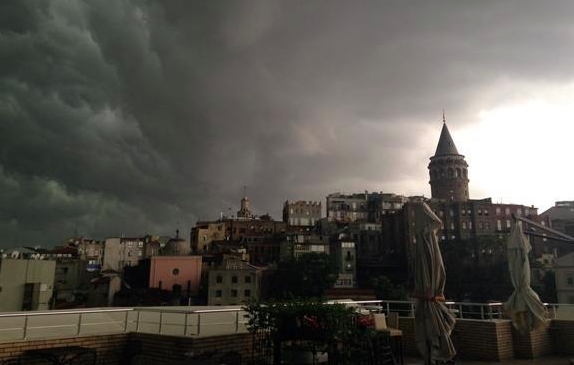 Heavy raining has hit Istanbul after the General Directorate of Meteorological Service issued a warning for citizens earlier on Aug. 7. Arrivals and departures at Istanbul's Atatürk Airport have returned to normal after all flights were briefly canceled due to the severe weather conditions. A private plane carrying Health Minister Mehmet Müzzinoğlu made an emergency landing in Çorlu Airport around 10 minutes after leaving Istanbul due to the rainy weather. The minister subsequently canceled a meeting in Çanakkale. Electricity was cut in some districts of Istanbul due to breakdowns at distribution units in Bahçeşehir and Avcılar.